Fans of funny and indie rock unite! 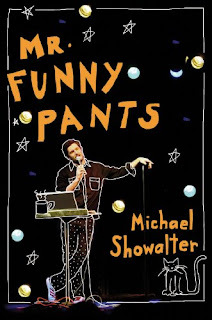 Join journalist Katherine Lanpher today at the Union Square Barnes & Noble as she interviews comedian Michael Showalter (The State, Stella) about his new book Mr. Funny Pants. Then rock with indie singer-songwriter Neko Case of The New Pornographers as she perform tracks from her fifth studio album, Middle Cyclone.